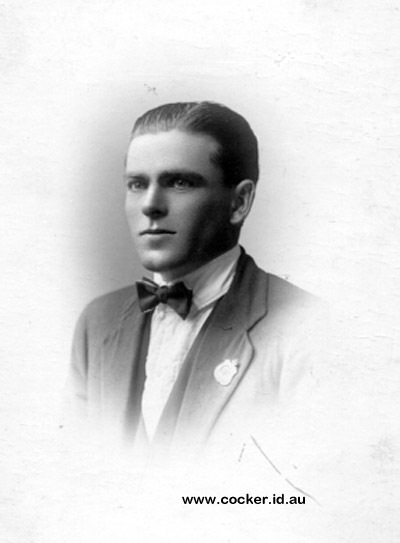 3-William James Crothers was born on 26 Oct 1896 in Derby, Tasmania and died on 5 Nov 1969 in Ulverstone, Tasmania at age 73. 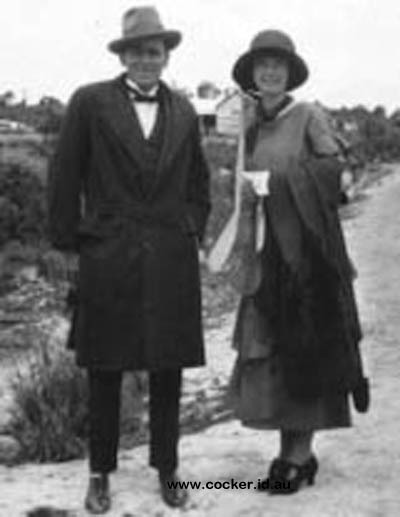 William married Gladys Irene Norton, daughter of George Charles Norton and Mary McGee, on 4 Feb 1925 in St Paul's Anglican Church, Launceston. Gladys was born in 1903, died on 3 Jan 1953 at age 50, and was buried in Ulverstone, Tasmania. They had three children: Rex (Nick), Eraine Kathleen and Jean. William served in the Army in World War 1, registered number 6022. He was said to have been badly wounded and only survived because there happened to be a vacancy in an Officers Hospital. He joined on 27 April 1916 at Claremont, Tasmania. Unit - 19th Reinforcement, 12th Battalion. Height: 5 feet 9 1/4 inches. Distinctive Marks: Scar on left upper arm. Occupation was listed as farmhand. 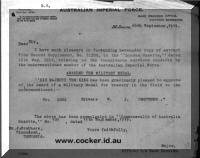 Date of embarkation from Australia 8 August 1916 aboard O.C. Troops "Ballarat". Disembarked at Plymouth, England on 30 September 1916. He was admitted to Bulford Hospital on 20 October 1916 and transferred to Parkhouse Hospital on 7 December 1916 also with mumps. He was discharged on 5 February 1917. He was then wounded in action in France on 19/20 September 1917 and admitted to Middlesex War Hospital on 23 September 1917 with gun shot wounds to his left shoulder. He proceeded back to France on 17 January 1918. 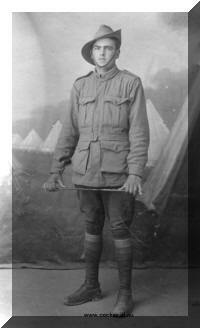 He was admitted to hospital, sick with Influenza 22 June 1918 and rejoined his unit on 27 July 1918. He was wounded again on 23 August 1918 - gun shot to the abdomen - severe. 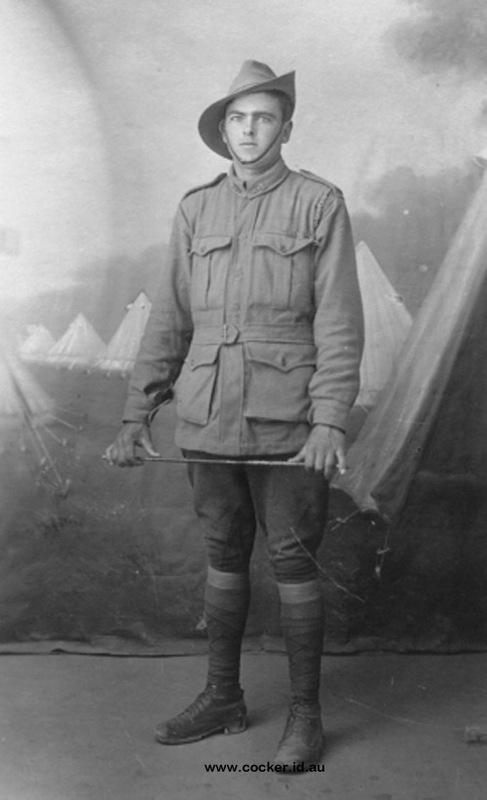 12th Battalion 6022 Private William James Crothers: During the attack on Lihons on August 11th 1918 Pte Crothers as company runner rendered invaluable service in carrying messages. Throughout the operation he frequently had to pass through extremely heavy shell fire. On two occasions he noticed that there was a shortage of ammunition in the front line and acting on his own initiative carried ammunition forward from the rear. His work materially contributed to the success of the operation. 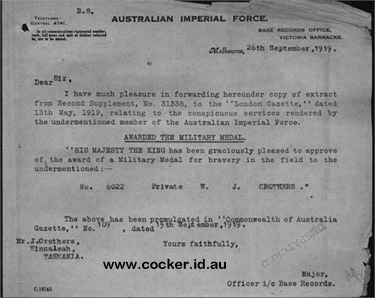 He was also awarded Star Medal; British War Medal; Victory Medal. 4-Eraine Kathleen Crothers was born on 17 Jun in Launceston and died on 6 Dec 2009 in Ulverstone, Tasmania. Eraine married Stanley Dyson, son of Owen Charles Dyson and Margaret Prudence Gardiner, in 1951. Stanley was born 1928 and died on 13 Aug 2007 at age 79. They had two children: Sue and Richard William. 5-Sue Dyson was born on 31 Aug 1956. 5-Richard William Dyson was born on 7 Nov 1957. 4-Jean Crothers was born 1926. Jean married Captain Tasman Albert Jillett, son of Walter Race Jillett and Hilda Elizabeth Eales, on 3 Nov 1951 in Windermere, Tasmania. Tasman was born on 23 Oct 1917 in 18 Mann St. Invermay, Tasmania and died on 7 Jun 1986 in Dodges Ferry, Tasmania at age 68. Tasman served in World War 2.